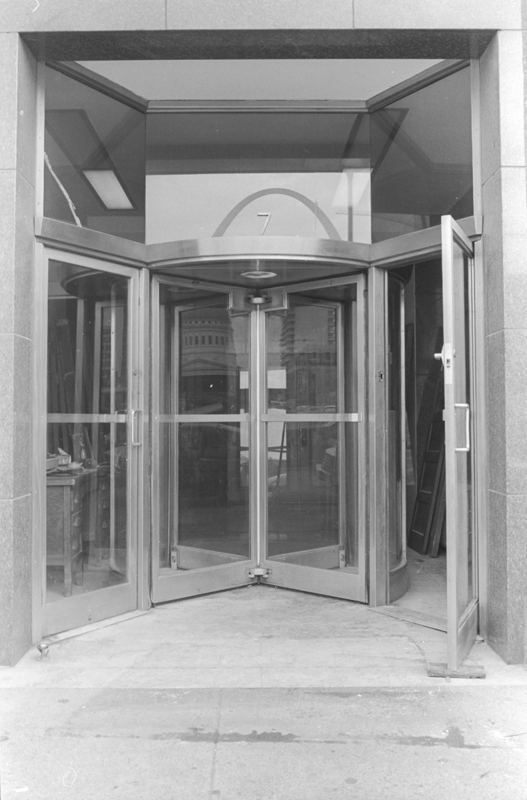 Revolving door system with opposing side swing doors. 16 gauge stainless steel with satin finish. Braceless automatic collapsible hardware with speed control. Manufactured by International Steel Co., Evansville, Indiana. 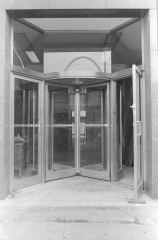 Installed 1956. Original shop drawings available. 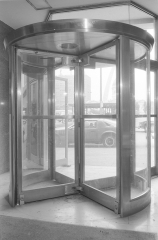 Overall unit: height 7 feet 2¾ inches with transom 10 feet 4 inches; width 7 feet 8 inches; diameter of cylinder: 6 feet 6 inches (internal) / 6 feet 9¼ inches (external). 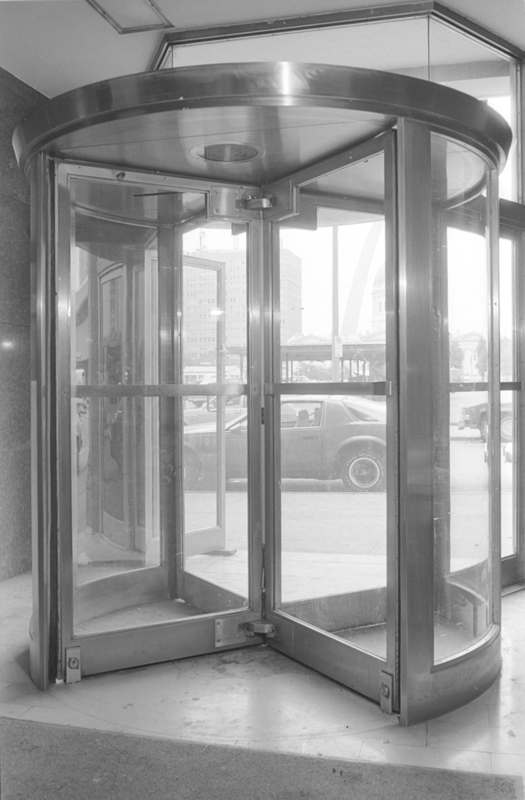 Swing doors: height 82 inches; width 32 inches.